Where have I seen this green bottle ? San Diego Convention Center on July 13, 2012 in San Diego, California. I love eggplant. We grow a lot of it where I live, and I eat it all the time. 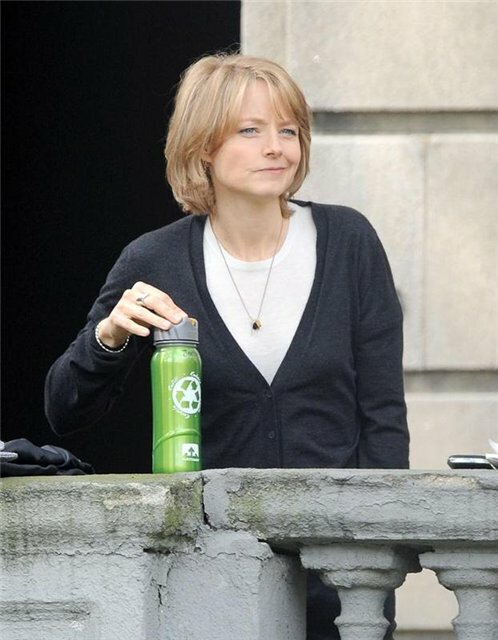 Jodie Foster Walks to Her( ) Hotel. She has her own hotel? Only 1 hour 47 mins from you to Jodie... Go, AD,Go! More like 1 year and 47 days. *sigh* But I'm walking in that direction. You're sweet, Eugene. But I have to work my way up to her. I will be happy though to have all the pics I can get. Dianna Agron helps celebrate The Hammer Museum’s Kids’ Art Museum Project event on Sunday (May 5) at UCLA in Los Angeles. 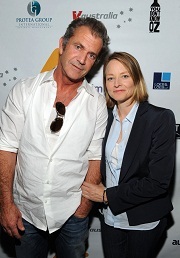 The event was also attended by Jodie Foster and James Van Der Beek, who brought along his wife Kimberly and their 13-month-old son Joshua. Dianna, Jodie, and James led story time at the event and read from their favorite children’s books in the Museum’s galleries.